Today’s post is our latest installment of a new series called the “Coaches Corner.” Our Adonis Transformation Coaches will share their knowledge, experience, and best practices to help ensure your successful transformation. To continue the series, our topic comes from none other than Adonis Legend, Jason Haynes. Today’s post was inspired by some guys on the Adonis Forums who were curious as to some of my thoughts on the state of the AGR Systems these days, I began to think back to when I first began AGR…some time around 2007, if my memory serves. Just the topic of this blog makes me feel like an old-timer…lol. Ugh…but old man-reminiscent ranting aside, the above statement is true, nonetheless. 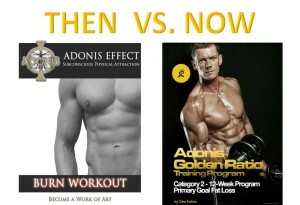 The AGR Systems have come a VERY long way since I started back before Adonis Transformation 1 even saw the light of day. It’s been several years and millions of brain cells ago, but I do (kind of) remember the initial program: Adonis Index 1.0…yes, 1.0. There were three categories…Build, Burn, and Build and Burn. They were designed to do what they were named. Three RAGE workouts existed. 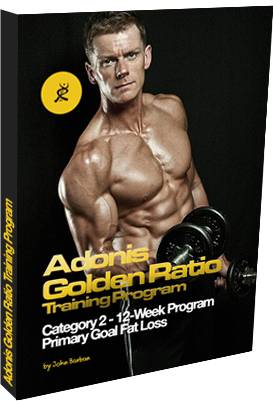 Adonis Index 1.0 : How I began my journey into the Adonis Lifestyle. That’s it. No extra workouts, no booster series (much less the advanced booster series), no Category 1,2 and 3. And no nutrition calculator. Somewhere around AI 2.0 we got a chat forum introduced which was a typical phpBB forum (I guess that’s what it’s called) with bare basics…I honestly don’t remember pictures being posted but I figure we posted pics. I can name maybe 10 other guys on that forum…but there were only 5 or so that were on daily (who were the ones to make big changes, btw, but that’s another story). AI 3.0 is when big things started to happen, though, and this train really picked up steam. 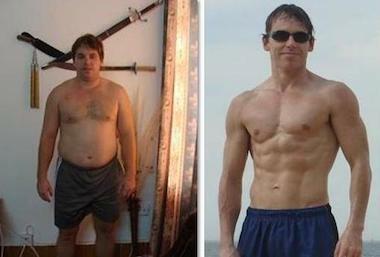 We got introduced to such things like MBF (Muscle Building Foundation), ATX, IXP, the Gauntlet…advanced boosters!! 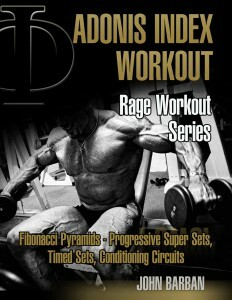 We got one new Rage workout, too. Rage Workout Series circa. 2010: The beginnings of something special. 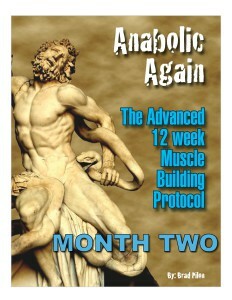 Anabolic Again was first introduced (not an AI Product, persay, but a great program developed by Brad Pilon). 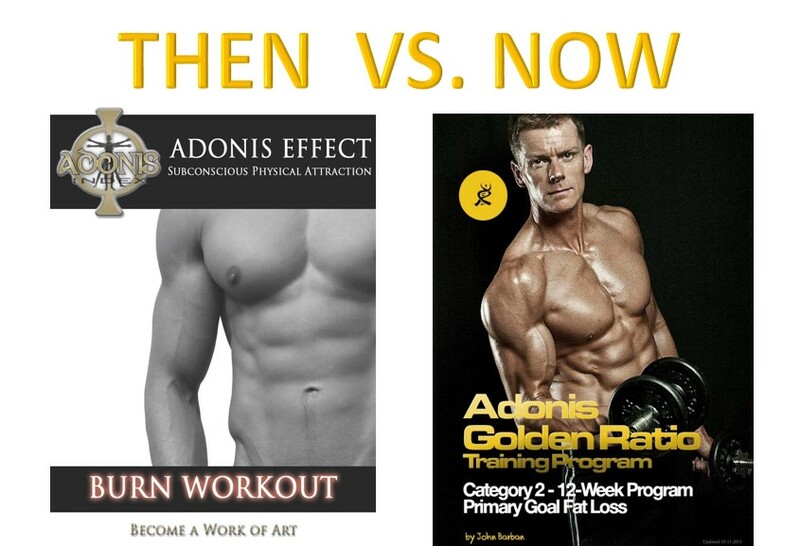 Honestly, I don’t recall when several things fell into the treasure chest that is now called (or associated with) the Adonis Golden Ratio (AGR)….things like Covert Nutrition, The Anything Goes Diet, Muscle Index, etc. Even as I’m writing this, I just KNOW I’m forgetting to mention some things…there was just so many things throughout the years. There were many guidelines to follow as to what to do when, and a pluthera of podcasts to listen to. 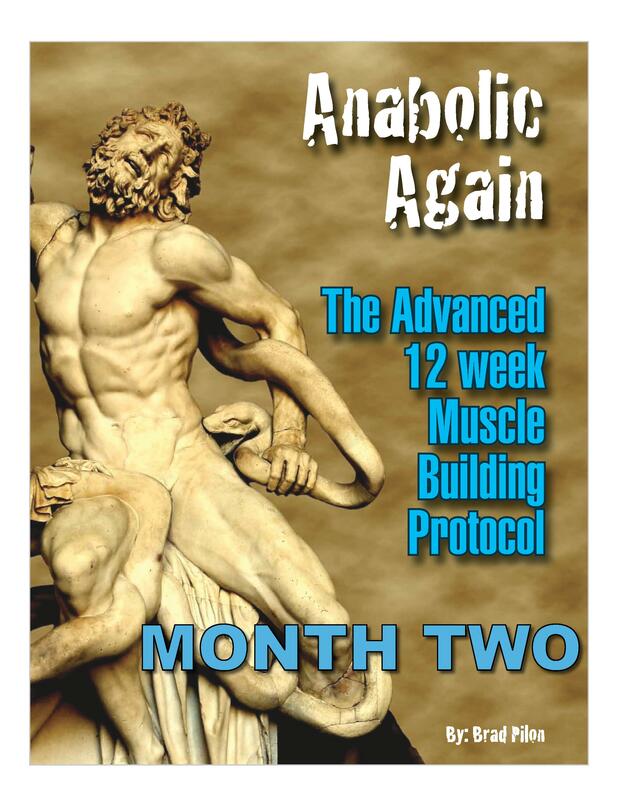 Anabolic Again Month Two: This was a Beast of Workout — Most Memorable! The nutrition calculator is a game changer and to the best of my knowledge there is nothing else like it out there. Back in the day, we had to “best guess” our nutrition….take a dozen or so online calculations for our BMR or RMR, average them and then tweak for our personal situation. It was not a small time spent in research, calculation, and tweaking. These nutritional calculators often had a range of up to 1000 calories between the lowest and highest numbers!! Then factor in all the other things (ie: “how does this particular website calculate ‘intense workout?’” some calculators didn’t figure in all the necessary metrics, etc) and we had somewhere to begin…but it often took WEEKS to nail it down. (Side note: John Barban even told me that I, and others like me, were his guinea pigs in developing the nutrition calculator….which used to, and still does, make me smirk). Now, we have the Nutrition Calculator. Just plug in a few numbers and get going. And as all the guys doing the AGR systems have the same goals, we don’t have to worry about the logistics behind other calculators/websites. Now, while it is true that there is ALWAYS a period of adjusting to an individual’s needs and situation, it is not NEARLY as long or drawn out as before…and certainly not all the work (on my part) as it used to be. AGR Reloaded: The Complete AGR System at your finger tips! I also wish we had the “complete system” that is AGR these days…it’s all laid out for you. If you want to do it for yourself, you can do so, but if you want a specific “guided path,” that’s available these days too! The Coaching program, which I am privileged to be a part of, is a HUGE thing that lots of guys could have benefited from. I was blessed to have John Barban as my coach (back in the day when there was just a few of us on the system), and I cannot speak enough of the benefits of having a guide to help and encourage a trainee during the process! We even have several coaches, so if one of us has a story or background that clicks with you, you can even request one of us, specifically. It has been my privilege to have been around AGR throughout the years…and to see its evolution into what it is now: a Complete System that leaves the guesswork out of it. It’s flexible if you want it to be, but if you want something all ready to be used, there is a roadmap that has been made over the years and with hundreds of men testing it and accomplishing great results. I do not know what John and the crew have in mind for the next phase of the AGR Evolution, but I do believe that the system will continue to get better and better.